The Washington Capitals beat the Boston Bruins 7-0 Wednesday night at Capital One Arena. 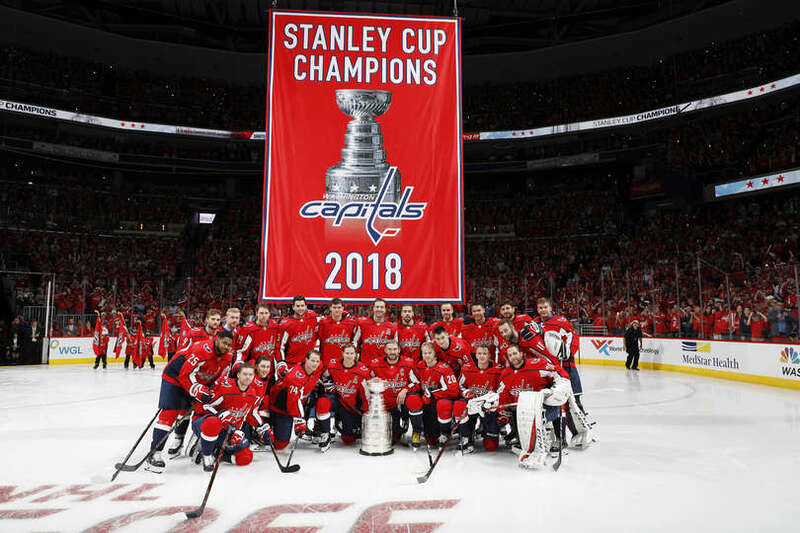 Moments after raising their first championship banner, the Capitals started denting the scoreboard, and would never take their foot off of the gas. The Capitals would score two in the first, four in the second and one in the third on the way to a 7-0 win. The Capitals are back on the ice tomorrow night (Thursday) when they visit the Penguins in Pittsburgh. Puck-drop is 7:00 pm. Tom Wilson received a 20-game suspension on Wednesday for his hit on Oskar Lundqvist in the final preseason game. Travis Boyd was placed on long-term injured reserve this week and will miss at least 10 games. Michal Kempny was placed on injured reserve as well this week, and will miss the opener and tomorrow night’s game in Pittsburgh. The Capitals wasted no time grabbing the lead with a goal from T.J. Oshie just 24 seconds into the contest. Nicklas Backstrom and Matt Niskanen we’re credited with the helpers. 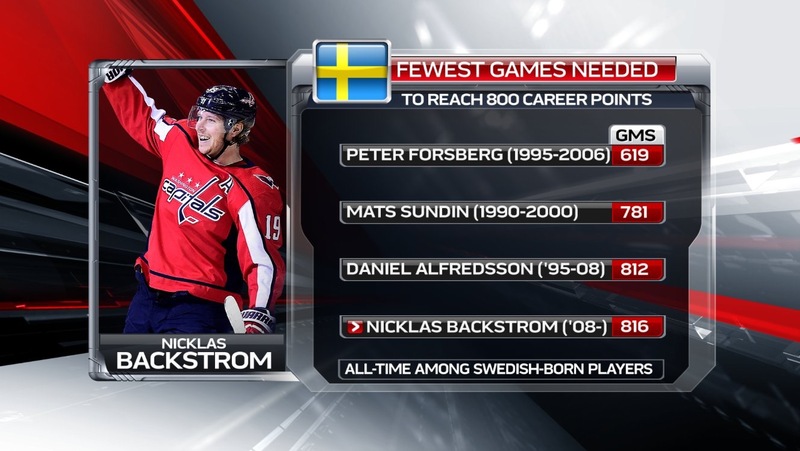 This was Backstrom’s 800th career assist. Evgeny Kuznetsov would quickly make it 2-0 with a close-range power play goal on a rebound at 1:47 of the opening frame. The period would end with the Capitals leading 2-0. The Capitals outshot the Bruins 13-9 for the first 20 minutes. The Bruins led the faceoff battle %82-18 for the opening frame. The Capitals would stretch their lead to 3-0 with their second power play goal of the game. This time the Captain, Alex Ovechkin, would knock it home at 4:17 of the middle frame. Nicklas Backstrom and T.J. Oshie were credited with the assists. The Capitals would make it 4-0 with a goal from Nic Dowd at 6:13 of the second period. Dowd would spin around and knock a backhabd high for the tally. Nathan Walker and Devante Smith-Pelly were credited with the helpers. The Capitals were not done. Evgeny Kuznetsov would pot his second tally of the evening at 7:28 of the second period, making it 5-0. John Carlson and Braden Holtby were credited with the apples. Tuukka Rask would be chased from the game and replaced by Jeraslav Halak following Kuznetsov’s second goal. John Carlson would stritch the Capitals lead to 6-0 with a power play goal at 15:45 of the second period. The goal was setup on a nice fake by Alex Ovechkin at the point, and feed to Carlson for the one timer. The second period would conclude with the Capitals firmly in charge, leading 6-0. The Capitals led in shots on goal 12-6 for the second period and 25-15 after two periods of play. The Capitals and Bruins battled to a scoreless draw for most of the final frame before the Capitals Lars Eller scored on a break away at 10:52 of the third period, making it 7-0. Chandler Stephenson and Brooks Orpik were credited with the assists. The Capitals would close it out for the 7-0 win. Braden Holtby got the shutout, stopping all 25 shots he faced. He had no shutouts all of last season. Alex Ovechkin’s goal was career goal 608, tying him with Dino Ciccarelli for 18th most all time. The Capitals set an NHL record for the largest shutout victory by a defending Stanley Cup champion in its season-opening contest. Capitals scored four power play goals in the game. The Capitals extended their personal win streak vs. BOS to 13 contests, dating to Oct. 11, 2014. This 13-game stretch vs. one opponent is the longest in franchise history and is the NHL’s longest active run vs. one opponent. Worst season-opening loss in Bruins history. This entry was posted in News and tagged Alex Ovechkin, Boston Bruins, Evgeny Kuznetsov, John Carlson, Jon Sorensen, Nic Dowd, T.J. Oshie. Bookmark the permalink. HOw was Bowey? Djoos? Walker? Walker played a really good game, two nice scoring chances stopped by good goalie play. His line was impressive. Djoos and Bowey held their own.